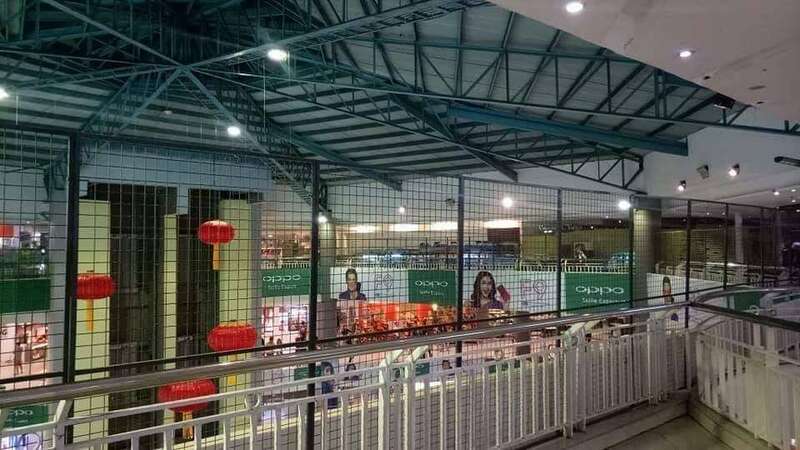 AFTER series of suicide incidents inside Gaisano Mall, the management has put barriers on the fifth floor of the mall to further avoid fatal incident in the future. The move is also part of the recommendations of local authorities to prevent possible suicide jumpers. Together with the Public Safety and Security Command Center (PSSCC), Davao City Police Office (DCPO) called on the attention of the mall management and asked them to strengthen their preventive security measures to avoid another suicide incident. “That move by Gaisano Mall is to prevent another suicide jumper attempts in the future. We recommended for those countermeasures due to the series of suicide jumps in that area before,” DCPO Director Alexander Tagum said. They previously suggested that the mall should increase the height of the railings, install additional closed-circuit television (CCTV) in all possible areas, and deploy more guards to discourage people from going near the ledge. Last January 6, a 16-year-old boy survived a suicide attempt inside the Gaisano Mall of Davao after he jumped from the fifth floor. Following the incident, local authorities called on the security of the mall and discuss measures to prevent this kind of incident from happening again. Based on their data, the first suicide incident was recorded on March 17, 2014; the second was on November 6, 2015; the third on February 11, 2017; and the latest was on January 6 this year. Of these, three succumbed to death because of fatal fall. In the photo posted by SunStar Davao on Monday, February 11, many commended the safety measure of the mall, as it will minimize suicide attempts, but they refer it as a short-term solution as mental health care must be strengthened to prevent self-inflicted death. “Ok lang na short term solution, but long-term solution para someday pwedeng tanggalin yung barrier, is dapat may easy and affordable access to mental health care are mga tao,” Miggy Unabia commented. There are also who lamented the move since the barriers where only placed at the fifth floor while other floors, including the fourth floor and third floor, remain to be a possible jumping point.